In Musselkanaal in the province of Groningen, a large fire damaged a shopping centre on Thursday night. 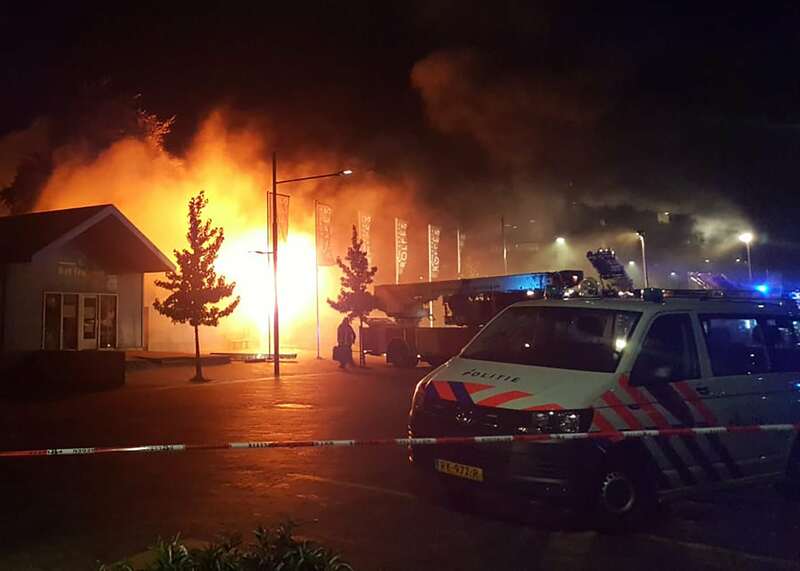 The fire began at the Rolfes Sports bike shop on the Marktstraat and spread to other shops. The fire department evacuated a care home with 84 residents on the Heggerank after midnight due to risk of exposure to smoke from the fire. Several other apartments and assisted living facilities in the immediate vicinity were also evacuated. Tientallen woningen zijn ontruimd vanwege een brand in een winkelpand aan de Markstraat in het centrum van het Groningse dorp Musselkanaal. Om 23.10 uur brak er brand uit in een fietsenzaak. Other nearby inhabitants were advised to keep their doors and windows closed throughout the day on Friday. The Groningen fire department posted on Twitter early on Friday morning that the fire was under control, but Dagblad van het Noorden reports that fire fighters expect that it will take all day on Friday to put out the remaining hot spots. Eight fire engines and three ladder trucks responded to the fire on Thursday night, and a special team was on site to monitor air quality. The Marktstraat in Musselkanaal, a town with 7,235 residents which is situated on the Groningen-Drenthe border, will remain closed while fire fighters remain on scene.